Gary Ibsen, founder of TomatoFest Heirloom Tomato Seeds, grower of more than 650 varieties of certified organic, heirloom tomatoes and co-founder of World Tomato Society, announces the release of rare tomato seeds for 24 “Dwarf Tomato” varieties. Ibsen said, “This is a marvelous opportunity for space-challenged gardeners: those who plant in containers, on patios or balconies, roof-tops, greenhouses or those who plant in smaller outside garden spaces, to enjoy the features and flavors of larger fruited varieties that were previously only available by growing in tall, indeterminate heirlooms. 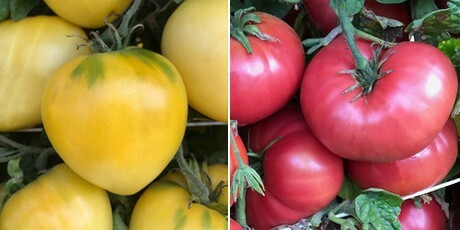 “These exceptional tomato varieties were all made possible by the 'Dwarf Tomato Project' - truly the first open-source breeding project, composed of all volunteer, amateur, and respected tomato breeders over the period of ten years. “Dwarf tomatoes are also more suited to the lifestyles of millennials and older gardeners who want superior tasting tomatoes but may have less time, opportunity and space for gardening. I believe the introduction of Dwarf tomatoes to the mix of hybrid, open-pollinated and heirloom tomato varieties will set a new trend of popularity with home gardeners, urban gardeners and commercial farmers," says Ibsen.